Introducing Multifunction Manual Juicer HX-0899 that squeezes out the very last drop of juice from the fruits without making any sound…or a mess! 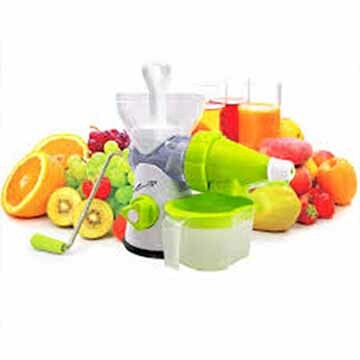 The Multifunction Manual Juicer is fully hand operated, light weighted and portable. 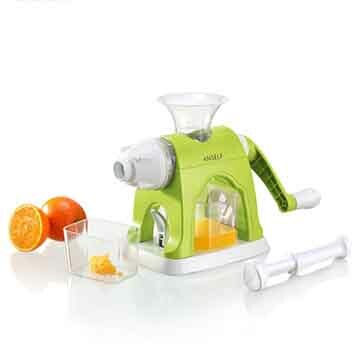 Multifunction Manual Juicer HX-0899 features a suction base that can be clamped anywhere so that the juicer can stay in place while you’re using it. 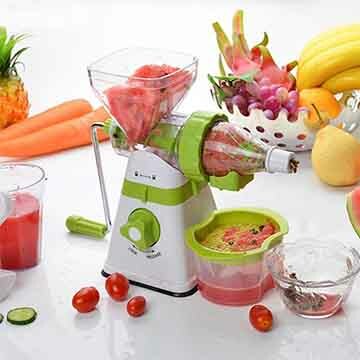 Multifunction Manual Juicer is great for almost all kinds of fruits, wheat grass and leafy vegetables.